Next round (15-18th of October): Unirea Urziceni – Gaz Metan, Rapid – Astra Ploiesti, FC Vaslui – CFR Cluj, FCM Targu Mures – Poli Timisoara, Pandurii Targu Jiu – Sportul Studentesc, Otelul Galati – Gloria Bistrita, Dinamo – Steaua, Universitatea Cluj – Victoria Branesti, FC Brasov – Universitatea Craiova. 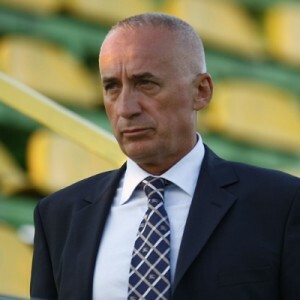 When Victor Piturca threatened his players that they will lose their wages for 3 or 4 months, if they play as selfish as CFR’s Lacina Traore, it would have been interesting to know what gsp.ro announces today: several players from Universitatea have, at least on paper, incredible wages for what they can offer and have offered to this beloved, but underachieving club, in recent years. The club’s highest earner and also top player, Florin Costea, who’s currently injured, gets 410.000 Euros/season, a salary that cannot be found at the champion club, for example, where Sixto Peralta, the former Internazionale midfielder, gets 375.000 Euros/year. But let’s say that Costea deserves this, given his on-the-pitch input when fit, as well as a market value calculated in million Euros. But to hear that Spase Dilevski, an Australian defensive midfielder, who never stood out as a decisive player for the club, earns 370.000 Euros per season, and Mihai Dina, an average 25 years old forward, who has an excellent year when he scores five goals in the league, was getting paid 180.000 Euros/season, obviously shocked Universitatea’s new manager. Wage cuts of -40% followed immediately, with non-negotiable offers accepted by the mentioned players, as well as by the young Mihai Costea (down to 120.000 from 180.000), while others, like the 28 years old Brazilian David Lopes, are expected to either accept half of their current wages or leave the club during the winter break. The sixth round of the Romanian Cup was kicked off on Tuesday, with a commanding display from Rapid Bucharest, who should get credit for this results, considering the level of their opponents, Petrolul Ploiesti, currently leading in the second division, with four wins out of four, and a team packed with experienced players and some quality youngtsers. But Rapid looks well organized at the back and can fuel the front men from the wings with so many quality balls that the strikers’ names and form aren’t that important. Otelul’s promising start of the season has just become magnificent. If Arles-Avignon had gained promotion in Ligue I last season, motivated by an article that tipped them for a quick return in the French third division pinned to the dressing-room wall, then Dorinel Munteanu should find useful this Top 5, even Steaua has one game in hand and will probably use it tonight, to top the standings. Next round (17-20 September): Gaz Metan Medias – Universitatea Cluj, Victoria Branesti – Pandurii Targu Jiu, Universitatea Craiova – Rapid, Otelul Galati – Unirea Urziceni, FC Timisoara – Sportul Studentesc, CFR Cluj – FCM Targu Mures, Dinamo – FC Vaslui, Gloria Bistrita – FC Brasov, Steaua – Astra Ploiesti. Transfer deadline day in Romania. Did Balotelli really sign for Man. City or FC Brasov has a chance to get him? Can Steaua also take the corner flags from Unirea Urziceni’s arena, after signing half of its team? 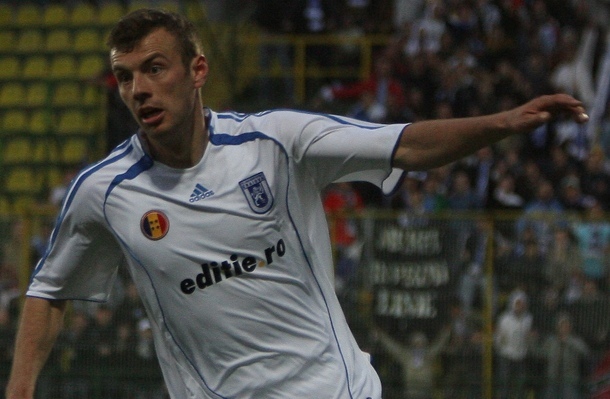 Is Dinamo ready to sign at least one decent defender? Could Rapid waste another million on a useless Portuguese striker? Did Mandorlini manage to bring all his 35 years old favorite Italian players? If you’re dying to know the answers, forget about Sky Sport’s special reports and keep on coming back. You’ll be surprised how many superstars can be signed on a free transfer in a single day! 18.46 Buying from Serie A isn’t the best idea. Adrian Pit, making his debut for Universitatea Cluj, got sent off in just 10 minutes: a dive + a foul. Andrea Mandorlini (CFR Cluj), Lopez Caro (FC Vaslui), Vladimir Petrovic (FC Timisoara). Big names, high wages, scary anti-sacking clauses. What’s to be done once they get their teams into deep trouble? Well, Timisoara’s Marian Iancu always liked to look tough in the media, CFR’s Arpad Paszkany plays the old “Backing the coach” trick and looks very supportive (until he finds a replacement), while FC Vaslui’s Adrian Porumboiu has no other option than to beg the former Real Madrid to leave the team without asking for more than a couple of hundred thousand Euros. Not a good moment to be in charge of a club, right?